Designing a proper website requires more than just including all necessary information in one place and posting it on the web. Well-thought website demands a lot of energy and effort to set, organize and present the content in clear, but at the same time engaging form. There are two sides of user-centered design: usability and visual impact. The web page should be obvious and self-explanatory, possessing effective design, flexible layout and easy navigation. To produce with this idea in mind our new Output Responsive Multi-Purpose Web Template will perform your web project in the best light. This captivating template comes with the new Intro Page built on revolution slider that provides your visitors with the pleasant entrance into your website. The main design conveying the principles of reliability and simplicity. 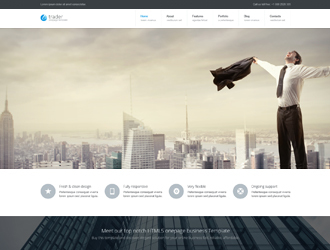 Grey layout along with black and white patterns highlight the corporate look of this template. 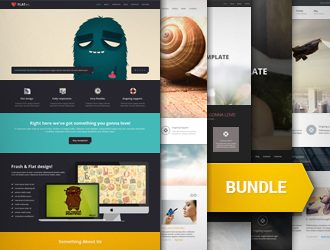 Output is multipurpose HTML5 & CSS3 template based on the Twitter Bootstrap framework and coded with SEO in mind. With the help of Responsive Design you will have stunning touch presentation on iPhone and iPad. 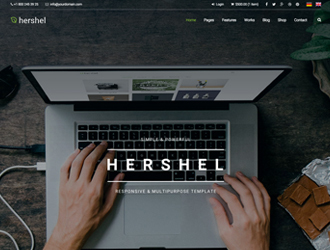 This template combines such great features as various Home Page Layouts, different Site Pages, Custom Menu, Portfolio Page Layouts, Blog Page Layouts, easy Color Management, Typography, Shortcodes list and more. Although it’s a business theme, we have added a Shop Page Design, so you can use it not only as a business or personal website but as a design mockup for your future online store. Have a look at the Live Demo and watch this awesome Output Responsive Multi-Purpose Web Template in details.